The second week of South Tyneside festival saw pop sensation The Vamps play an hour long headline set in Bents Park. The weather treat us once again bringing a strong crowd of 20,000 in to watch and enjoy the music in the boiling hot sunshine. With diehard Vamps fans queuing from 11pm the night before to secure themselves a front row spot, the park was packed out with priority ticket holders from all around the UK and as far away as Germany and even Japan by 11:30am who had paid just £5 a ticket to gain early entry. This was definitely the biggest turn out for South Tyneside Festival that I had ever seen. The music kicked off just after 1pm, courtesy of local artist Taylor Payne singing a set of covers that everyone could sing along to including Oasis’ ‘Don’t Look Back In Anger’. Next up was The Cutkelvins, a band hailing from last years series of the X Factor. 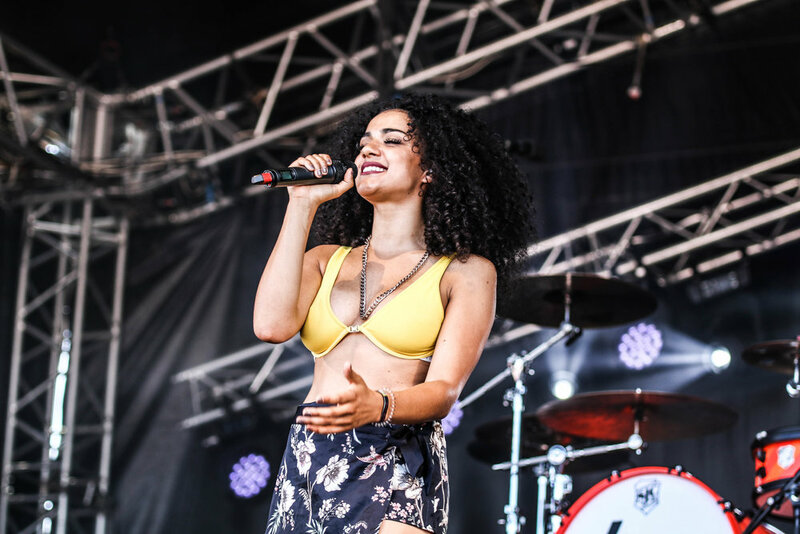 Made up of siblings Shereen, Jay and Kyle, The Cutkelvins performed a set of both original material and covers that they sang on the show including Ed Sheeran’s 'Shape Of You’ and P!nk’s ‘What About Us’. They interacted with the audience, jumped off stage and took selfies and overall gave a great performance that warmed up the crowd perfectly. Teenage band New Hope Club were main support, made of Blake, George and Reece who since forming have supported the Vamps for the last three years on tours around not only the UK but the world. They have clearly gained a massive following, and performed a set of original material including some unreleased tracks which it seemed that every person in the crowd sang along to it was that loud. They also opened with a great cover of ‘Tiger Feet’ which recently featured in the film ‘Early Man’. They performed a perfectly well polished set and if New Hope Club keep going in the direction they are going, I can see them headlining a festival as big as this themselves in a few years. 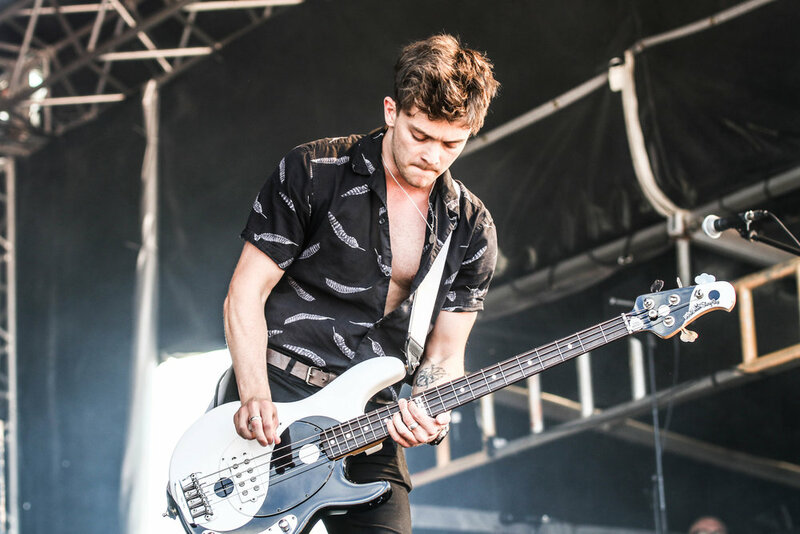 The full to capacity crowd waited for the headliners in anticipation and as it hit 3pm chants of ‘Bring The Vamps’ roared across the park and as soon as the drummer Tristan Evans appeared on the stage the noise levels went off the scale. Soon after, all of the boys came to the stage starting with ‘Staying Up’. Brad got the crowd hyped up straight away running to each side of the stage to see everyone in the crowd and asking everyone if they were ready to party. Classic Vamps song ‘Last Night’ was up next followed by ‘Shades On’ where everyone joined in with the lyrics and put their own shades on. The band continued their set playing all of the nostalgic tunes including debut single ‘Can We Dance’, ‘Wild Heart’ and ‘Somebody To You’, a cover mashup of recent music ‘Friends’ by Anne Marie and Dua Lipa’s ‘New Rules’ and material from their Night / Day albums ‘Personal’, ‘Just My Type’ and ‘Same To You’. The set come to a close with ‘All Night’ - a perfect encore song that got everyone singing and dancing. The Vamps are a band that just get better and better time after time. Brad Simpson is up there with the very best of frontmen, and the band is bursting with musical talent. A show by them is a hard one to beat, and with a turn out like that, I hope they stick around for a long time to come. Next weekend see’s Scouting for Girls head to Bents Park with support from Roachford and The Fizz. With completely free entry, weather like we’ve had for the past two weekend’s, the family orientated atmosphere and some of the UK’s best artists on the lineup week after week, there is nothing to complain about with this festival.